“I think we all went to the doctor,” he remembers. 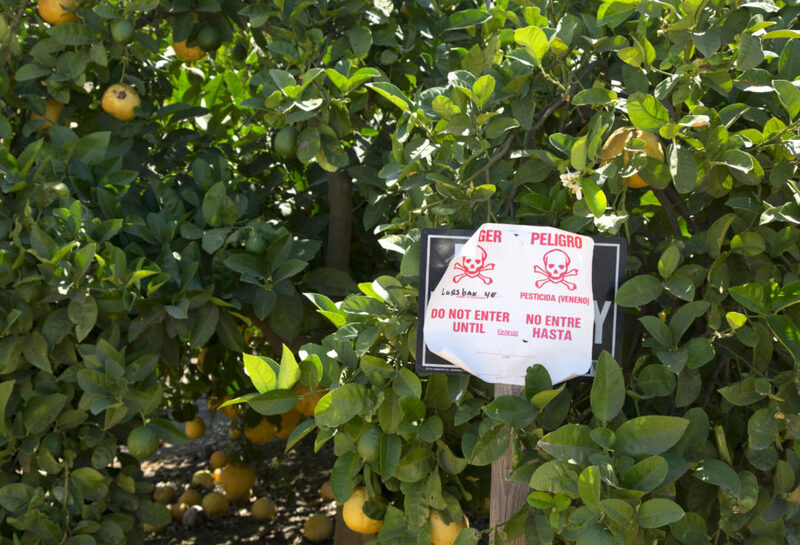 Washington’s Department of Agriculture investigated and found evidence that a pesticide called chlorpyrifos had drifted onto the Perez’s property from the neighboring orchard. Crops like apples, corn, soybeans and Christmas trees are sprayed with chlorpyrifos. The Environmental Protection Agency decided to phase the popular pesticide out of household use back in 2000, but it’s still allowed in agriculture. Now, the 9th U.S. Circuit Court of Appeals will decide whether the EPA has to ban it. When chlorpyrifos drifts onto farmworkers and rural residents, the immediate symptoms can include “nausea, vomiting, diarrhea, abdominal cramps, muscle weakness, muscle twitching, coughing, wheezing,” says Richard Fenske, a University of Washington professor who has studied the chemical. EPA scientists recommended a total ban on the chemical. But in March 2017, President Trump’s new EPA administrator at the time, Scott Pruitt, decided against that. Beers says there are alternatives to chlorpyrifos, but they’re more expensive. “We can’t count on there being an effective replacement coming anytime soon,” she says. It’s unclear how much chlorpyrifos residue remains on fruit and Christmas trees when they reach consumers. One study found chlorpyrifos derivatives in the urine of kids who eat produce that is not labeled organic. But there’s no evidence linking that level of exposure to actual harm. A year and a half ago, in September 2017, he bought the orchard next to his house. Now it’s farmed organically.